The General Assembly gaveled in a special session Wednesday. Their first order of business: Overriding a veto of a bill which changes more than a dozen state environmental laws. When he vetoed the bill, Governor Roy Cooper said the measure weakened protections from river pollutants and landfills. "I have to disagree with the Governor's points," stated Republican Representative Larry Yarborough, who championed the override effort. And truthfully there wasn’t much debate. The bill, now law, repeals a ban on plastic bags in some areas of the Outer Banks – a move to reduce waste in environmentally sensitive areas. This ban was favored by many local governments and businesses, a point not lost on Yarborough. "It might be supported by some local governments. But those people also have representatives and senators who are in favor of repealing this ban." The new law also changes the rules on stream and river buffer zones, and includes $435,000 to study the possible negative effects of an industrial chemical known as GenX in the Cape Fear River. That's far less than the $2.6 million requested by Governor Cooper. It also extends the length of mining contracts in North Carolina from 10 years to 'life-of-site', meaning a mine can now stay open until it is fully depleted without the company needing to file any updated permits with the state. The new law also rolls back some key rules on landfills. Previously if trash was created in a particular county, those local officials had the power to say it had to be disposed of locally. This gave counties the ability to regulate their own dumps, set the cost of disposal in those dumps and therefore to encourage recycling and similar programs. This effectively ends, or significantly hurts these programs since House Bill 56 allows people and companies to truck their trash to the landfill of their choice in the state. 44 Representatives voted against the override, including at least one Republican. But the measure easily passed the House and was quickly passed by the Senate. 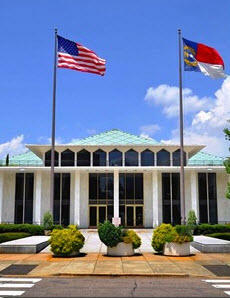 On Wednesday, state lawmakers will reconvene in Raleigh for yet another special legislative session. If you're thinking these special sessions aren’t as special as they use to be, you're right. This is the third special session since lawmakers officially ended their regular session a few months ago.